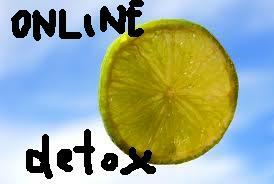 in next 168 hours or let’s call it -> 7 days; I am cutting myself off from intense soaking of online world. I just feel in my bones that I need to put down pen on paper & focus on shipping, which is cooking in my head & heart. Don’t worry #IS will have its shipments delivered to you, because I have scheduled 2 shipments for next week, so please come in, leave your comments & spread the word. In the meantime you can also “consume” tons of hand-picked inspiring videos on my IS2 Posterous blog, which is roaring with traffic and visitors. Till then be well & be in love with life, which is SUPER COOL! As to my experience, had a detox 2,5 years ago, it lasted for 7 days and to be honest, in the first two days I was really nervous, cause I didnt know what to do with my hands all day:) Finally, after the whole week, I was able to get rid of one of my THREE cell phones & found out, that having a laptop with you all the time is not so essential, some things just CAN wait. I can tell it was very very important, eye-opening experience with tons of insights and lessons learned about myself and things which matters. Ivana, wish you 168 hours of bliss. Come back refreshed! Checking back and glad to see you 🙂 good luck for more inspiring shipments.